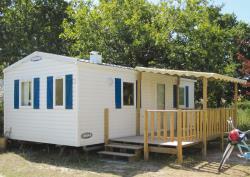 Realize your rent of bike in Gironde directly on the campsite. What could be more pleasant when the weather is lenient, when to be able to have bicycles for all the family to make its travel? These means of transport are particulary appreciated by the small ones like the large ones more especially as it will be useful for you to return to you to the beach, located to 5 km of your campsite in Aquitaine. In some knocks of pedal, you will be there! To facilitate you the task, we suggest you renting directly on your holiday resort of bikes adapted to the childen and to the parents, at your disposal. To move you will become a simple formality. And when we are for the open air when the sun shines, the bike has many advantages. Rent of bike to Soulac sur Mer, to arrange. There are our famous bike “Beach Cruser” of which you can take advantage, for the children as for the parents. These are characterized by a comfort increased by the presence of saddles with suspension, as well as a basket completed to transport its affairs of beach. There are naturally also models fot the children, as well as baby seats, to leave for excursion all together. Bikes are accessible from 75€ to the fortnight, a completely accesible rate, whatever its budget vacancies. 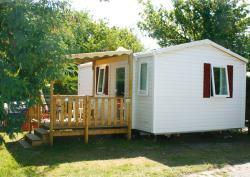 You can so cross in family all the bicyble paths situated around your campsite near Soulac sur Mer. Showbike 2018. end of June, book now!